Last week I talked about hay fever and I used the expression “sneezing like crazy“. 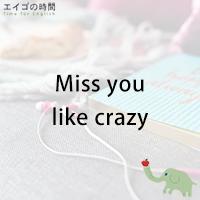 This phrase “like crazy” is very frequently used in daily conversation. It’s colloquial, in other words, informal or conversational. It means “to a great degree” or “to an exceeding degree”.